Russia showed the most impressive growth rates - the Dubai Government's Department of Tourism and Commercial Marketing announced this assessment based on the results of statistics. 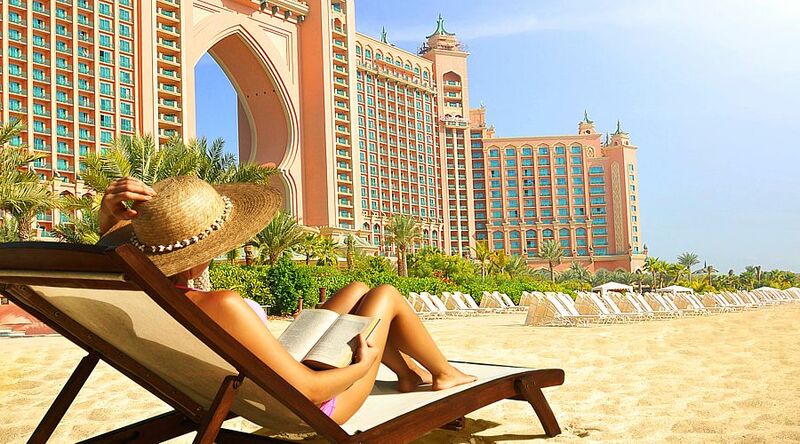 According to the statistics, the flow of tourists from Russia to Dubai in 2018 increased by 28%. Russian tour operators confirm this data. “The impressive results of the tourist flow had in 2018 China and Russia. Countries were on the fourth and sixth positions in the number of tourists, respectively. Last year Dubai was visited by 857 thousand Chinese tourists, which is 12% more than in 2017. The number of Russians was 678 thousand travelers, which is 28% more than a year earlier. A significant increase in tourists from these countries is due to the new rules of issuing visas (right at Dubai airport) and an increase in the frequency of air transportation,” the department said. At the same time, tourists from India (2 million people), Saudi Arabia (1.6 million) and Great Britain (1.2 million travelers) remain on the first lines. All in all, in 2018 Dubai was visited by 15.92 million tourists, which is 0.8% more than a year earlier. Tour operators, specializing on the Emirates destination, in turn, noted that the data are generally correct. “We can confirm the data for Dubai by our practice: we also have about a 25% increase. The season is very active,” said Dmitry Arutyunov, the general director of Art Tour operator. At the same time, according to him, the season will continue during summer dates, especially after the May holidays. “In the top of Biblio-Globus requests from the customers are Dubai, where the demand is at the level of last year, then Sharjah, Abu Dhabi and Ras Al Khaimah. In general, the demand for tours to the UAE in the winter season of 2019 increased by 11%,” the tour operator’s press service commented. At the same time, tours for 7–10 nights are in the top of requests and there is a noticeable interest for 4-5* hotels, which is explained by the large number of family tourists and the increasing in the number of Special offers from hotels in the UAE.